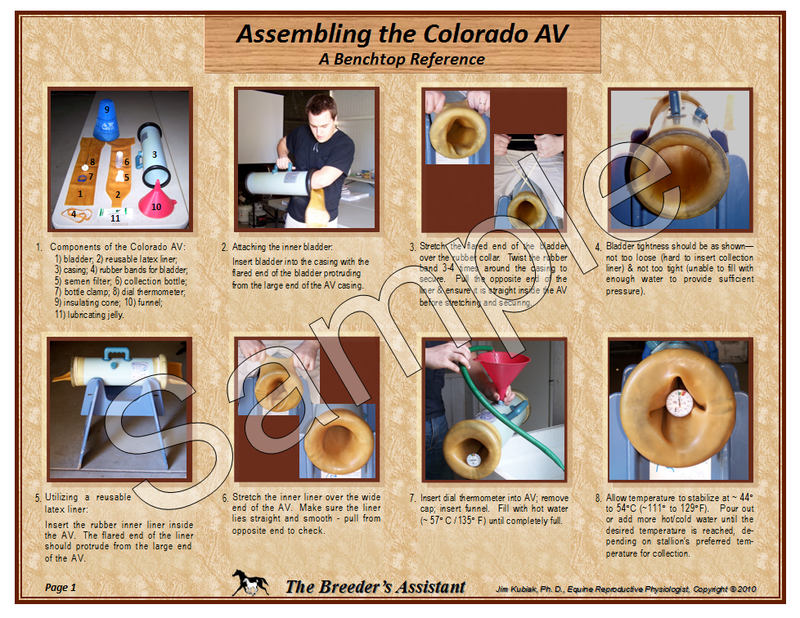 This handy 2-page bench top photographic reference (with captions) shows the individual components of the Colorado AV and steps involved in assembling one for use in stallion collection. Instructions include both using a reusable latex liner as well as a disposable AV liner. 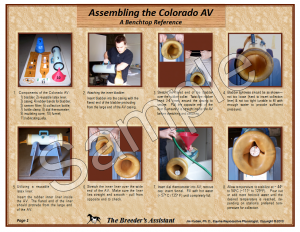 Printed on photo stock, this laminated set is designed for use as a quick reference while preparing your AV. Spills wipe clean!